I’m writing this lying on the floor in the middle of a cheese coma. The sudden trauma of morning, getting the children ready for school and repeating ‘brush your teeth’ over and again until you become insensible is not a good way to start the day, even though one of them somehow and somewhy got dressed by itself this morning. I’m still suspicious of her motives, but she got telly with breakfast as a reward, and it hurried her brother along to join in, so I didn’t question her. I’ve been meaning to make this dish for a couple of months, ever since we went to Chai Naasto in Beckenham where I had a tin pot full of it. Today seemed like the perfect time and just reward to compensate for the reality of the morning which was not, as I hoped, to have been gently woken from a peaceful and deep sleep by a string quartet and to have my valet bring me bed tea. This is fairly quick and very simple to make, but the noises that came from me as I took the first bite are best kept private. It’s an indecent snack, and certainly an indecent breakfast. A good extra drizzle of chilli sauce over the cheese is welcome, and use the remaining half an onion, finely sliced with some chillies and coriander to serve as a little salad on the side to cut through the richness. 500g cubed paneer. You can easily make your own, but buying it is even easier than that. Sliced spring onions, green chillies, a sprinkle of chaat masala and Coriander leaves to serve. Make the sauce by gently sautéing the garlic in a little oil then adding the onions, ginger, pepper and chillies. Cook for about three minutes then stir in the chilli sauce, tomato purée and water. Cook for another minute or two, and keep warm in the pan. Make the batter by mixing together the flours, spices, seasoning, garlic and enough water to a cream-like thickness. Leave it to rest for about 20 minutes while you wonder off and try to work out why the children have left mud all up the hallway wall. 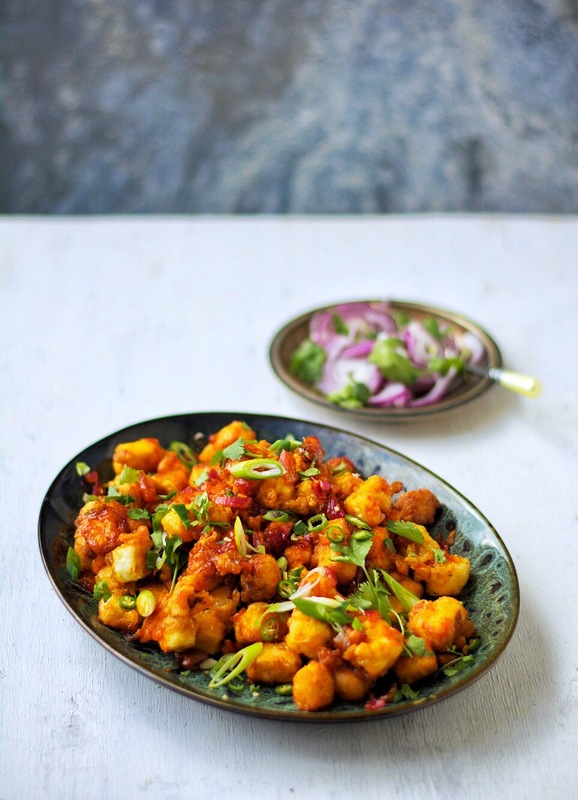 Toss the paneer cubes through the batter and deep-fry them in hot oil until crisp. Remove and drain on kitchen paper. 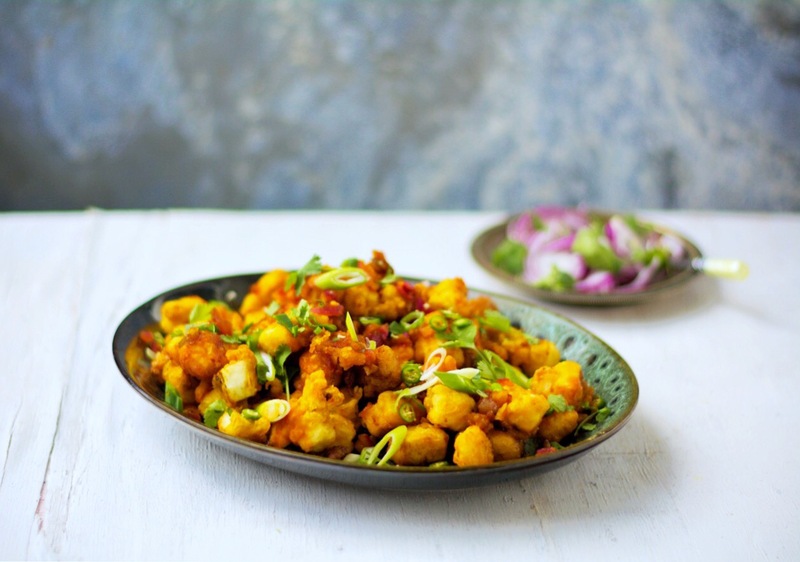 Toss through the chilli sauce and serve with a sprinkle of chillies, spring onions and coriander.